EasyBooks is an accounting solution that helps users keep tabs of accounts, statements, invoices, and VAT while managing customer invoices and finances. Its features include financial reporting, time tracking, bookkeeping, and more. In this article, we cover EasyBooks reviews and pricing. Ready to get started? Get a free trial. Users who gave EasyBooks a positive review said that they like its simple but streamlined UI. They also praised its robust set of features. 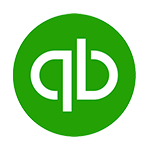 In addition, the majority of users also agreed that it is an efficient accounting application that made their business processes easier. 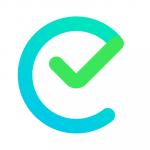 One user who gave EasyBooks a positive review on Capterra said that it has a simple yet organized platform that is easy to use. He also liked that it has been helpful in tracking their clients’ income and matching them with associated costs. He also observed that the software helped in simplifying their financial processes like bookkeeping. As of the date this article was written (March 28, 2019), there are no up-to-date EasyBooks negative reviews available online. If you are a past or current EasyBooks customer, leave a review to help others that are deciding whether or not to use the software. EasyBooks pricing is based on three annual plans: Bronze (£10 or approx. $13.19/user/month), Silver (£12 or approx. $15.82/user/month), and Gold (£15 or approx. $19.78/user/month). The main difference between the plans is access to premium features such as customer invoicing, time tracking, and support for foreign currencies. *Plans are paid in full at the start of the billing cycle. The approximate dollar amounts are based on the current Forex exchange rate when this article was written. Ready to get started with EasyBooks? Get a free trial. 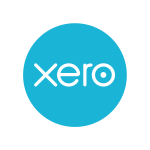 10 Best Accounting Software for Small Businesses 2019: The best accounting software for small businesses should be affordable, easy to use, and allow you to easily track income and expenses. The software should also include detailed financial statements to give you insight into the health of your business. We looked at over two dozen products and narrowed it down to our top 10. What are some of the user support add-ons that EasyBooks provides? EasyBooks provides FAQs, support guides, and a blog to help users navigate and maximize software use. Can users access EasyBooks using their mobile phones? Yes. EasyBooks app is available for download for iOS (iPad and iPhone) and Mac OS at the App Store. Have you read these EasyBooks reviews and are still not sure if it’s the right fit for you? 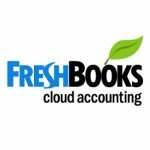 Read our reviews of all top accounting software providers or check out one of these three EasyBooks competitors.